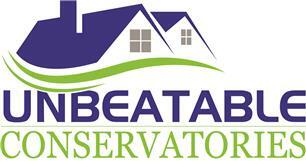 Unbeatable Conservatories - Windows/Doors/Conservatories based in Bramber, West Sussex. Unbeatable Conservatories offer a friendly and professional service using the highest quality materials, creating a room all year round. We are a specialist company covering the installation of bespoke conservatories or garden rooms in Surrey, Sussex and Hampshire. Unbeatable are so confident of the materials used and the quality of the installation that we can now offer you an unbeatable '10 year Guarantee'.